Edgy and unique, these Jimmy Choo Mesh Booties made of fishnet mesh, leather trim and silvertone studs are currently priced at $767 down from $1,095 at Bergdorf Goodman. Get a super similar look for less with these Glitterati Pumps, $32.80 at forever21.com. If you missed out on the collab that Jimmy Choo did with H&M, now's your chance to make up for it! 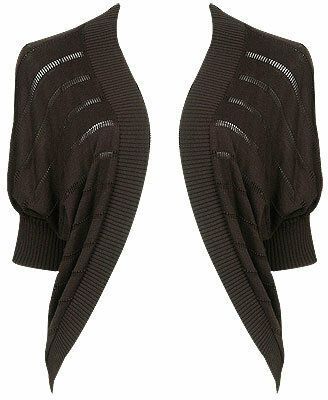 This M Missoni V-neck wool cardigan sweater is sold out but originally cost $695 at shopbop.com. Although this sweater is a shrug rather than a cardigan, it has a similar look and feel with the ribbing and dolman sleeves. You can find it for $24.80 at forever21.com by clicking on the image above.